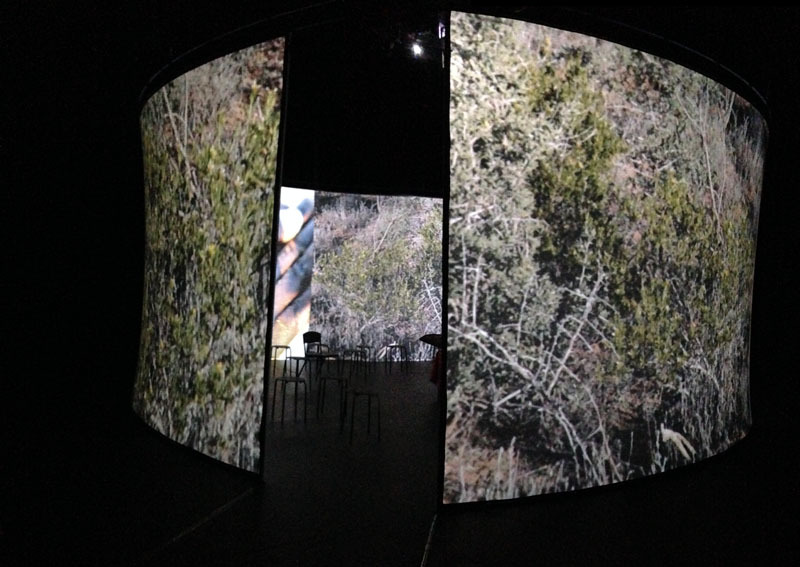 A 20 minute immersive installation for circular screen and 3D sound. 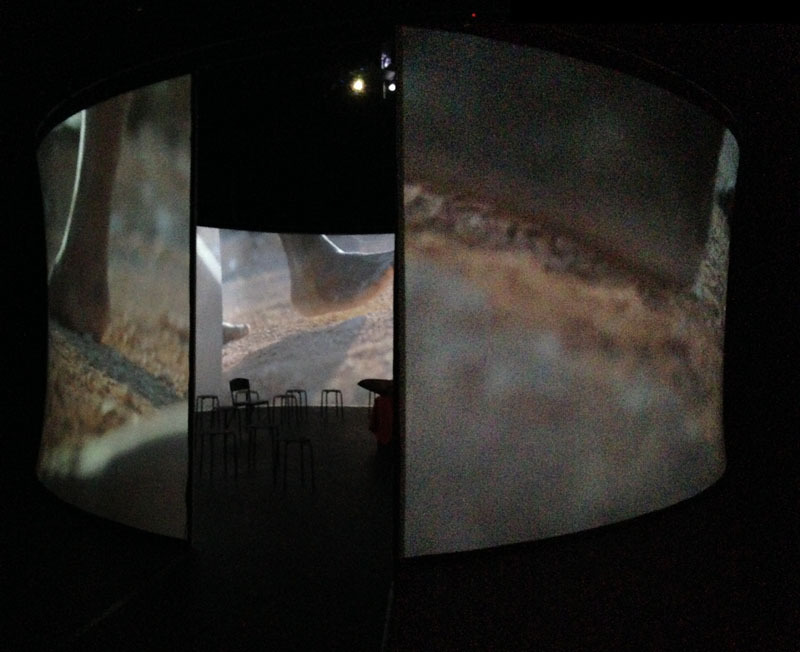 Ngurini is an outcome of the Nuclear Futures program of creative arts responding to the legacy of nuclear testing. Artists worked with Yalata community members to tell the story of repercussions from atomic tests carried out by the British at Maralinga in the 1950s and 60s: that of forced relocation from traditional lands, the establishment of a community at Yalata, struggles for recognition, clean-ups and land handback and the survival, resilience and strength of a people. 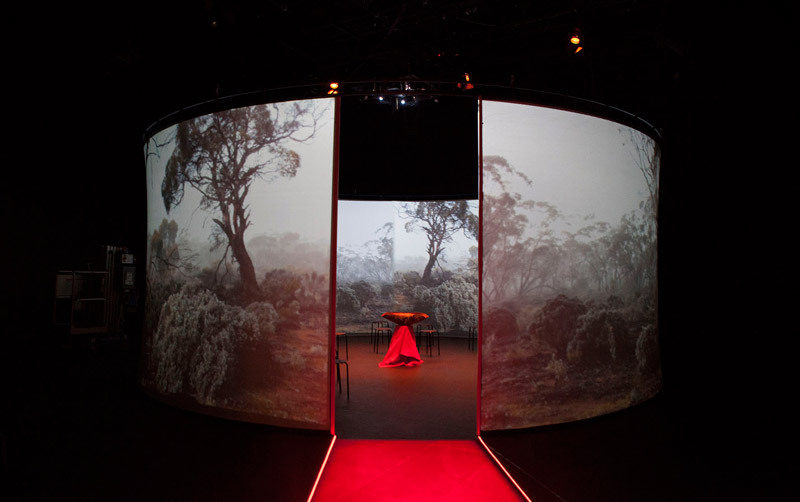 Ngurini premiered at the at The Block, Queensland University of Technology. The Yalata Community, Yalata School, Maralinga Tjarutja Council, Greg Franks, Kristy Richards, Thelma Windlass, John Mungee, Queensland University of Technology, University of Adelaide, South Australian Department of State Development. Ngurini is supported through αlphaville’s Nuclear Futures program.